Houses from different parts of the Philippines; some were restored, some were replicated. 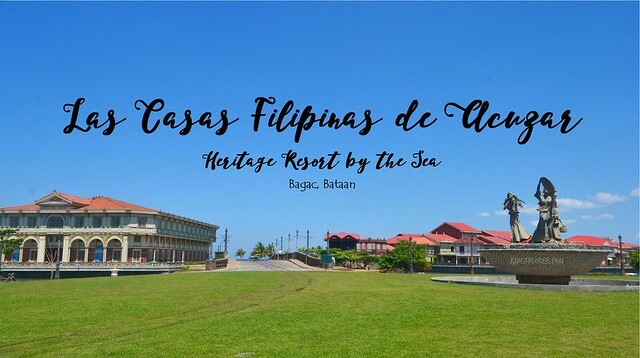 This is the only description I know about the first heritage resort in the Philippines, Las Casas Filipinas de Acuzar, located in a peninsular province of Luzon, in Bataan. When drafting my weekend itinerary, I made sure that this should be included on the list of places to explore. An hour jeepney ride from Balanga Terminal transported me to Bagac, Bataan. I needed to hail another tricycle to proceed to the heritage resort in the Philippines. 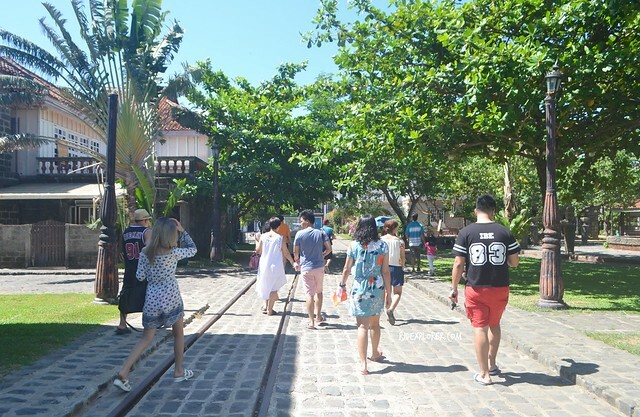 The unpaved road from the highway to the main gate serves as first impression on the experience the resort offers. The guard gave me an entry-pass that I handed back to the staff at the receiving area. Houses in La Puesta del Sol viewed from the other side of Umagol River. I decided to try the day tour. 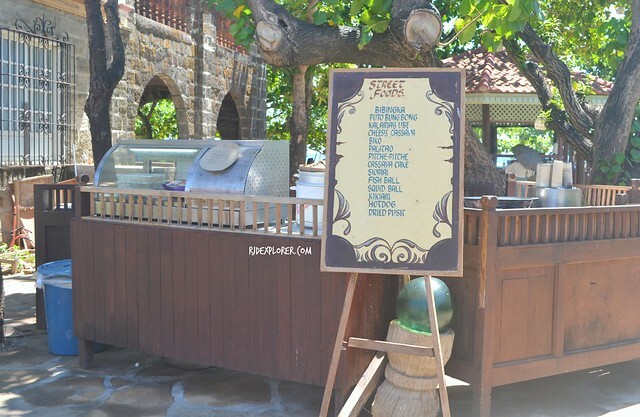 The resort has 3 options for the day tour. Package 1 with set meal, Package 2 with buffet meal, and the Package 3 for the core offering. Basic package includes welcome drink, guided heritage tour, free use of pool and beach area, vicinity map, and cold towel. I availed Package 1 because I knew that it would take me the whole day in exploring the resort. Las Casas swimming pool called as ‘batis’. Staff in the makeshift receiving area instructed me to proceed to the reception to register. After settling some forms, we were shuttled to Casa Lubao. The heritage house that serves as the assembly area for the guided heritage tours. While waiting for the tour schedules, visitors can avail some of the games available like sungka, dart, table tennis, billiards, and pool. Summer heat was already blistering when we started the 9:30AM tour. 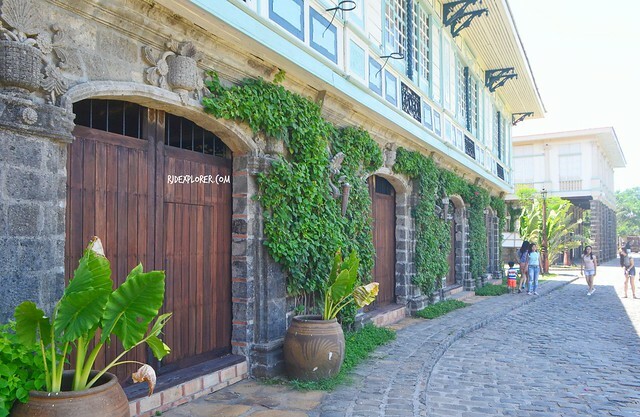 Bataan is just a search away! Book discounted hotel rates on the search box below. Our tour, accompanied by Cate, started in Casa Lubao, an ancestral house of Arastia-Vitug Family from Lubao, Pampanga. 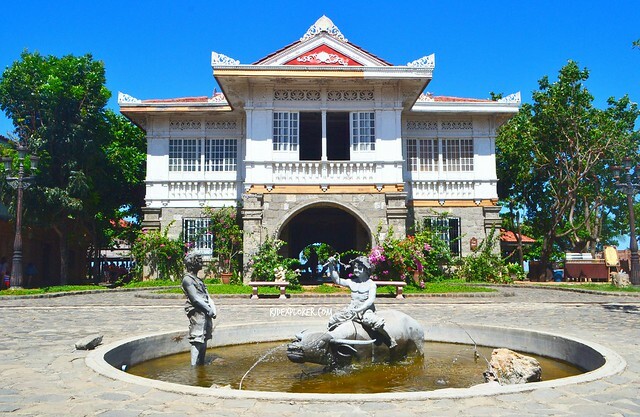 It was built in 1900s directly infront of Lubao Municipal Hall where the family managed their rice and sugar hacienda. 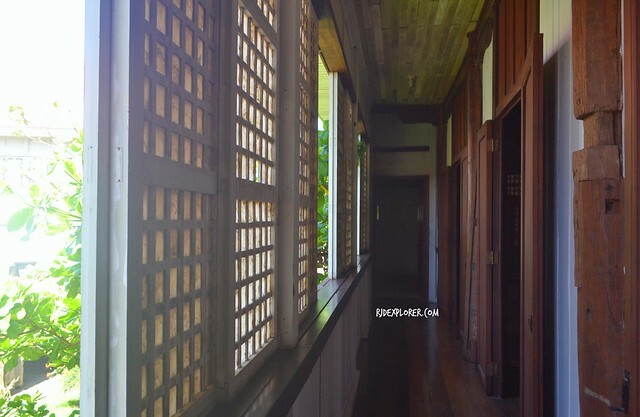 As narrated by the guide, Casa Lubao was once a Japanese garrison during World War II. It was customary for soldiers to burn their barracks before leaving it. For the Casa Lubao, a Japanese colonel, who served as family driver for a decade, stopped the plan because he was beholden by kindness of the family. 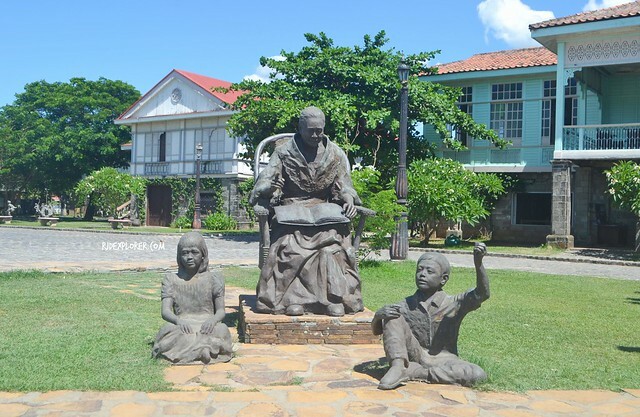 Sculptures in front of Casa Lubao (left) and its dining hall (right). From Casa Lubao to Plaza Belmonte, we passed by another two houses; Casa Meycauayan and Casa Unisan. 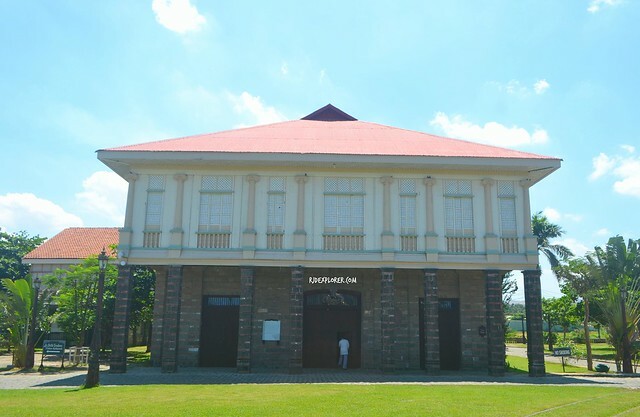 Casa Meycauayan was originally constructed in 1913 in San Fernando, Pampanga. The house was reconstructed in Meycauyan, Bulacan in 1950s utilizing the exact materials and design. The lower ground of the house utilized adobe stones while wood was used on the upper floor. 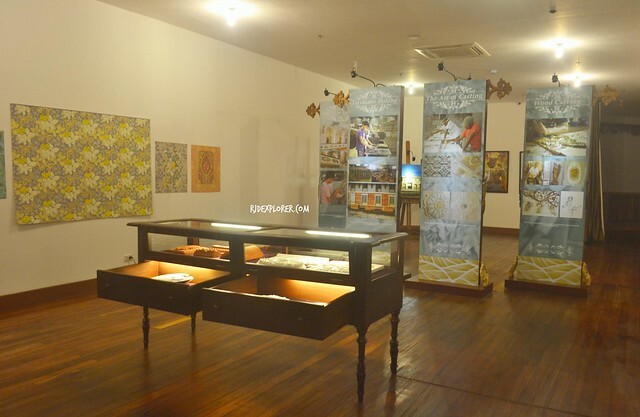 Casa Unisan on the other hand was the first ever “bahay na bato” built in Unisan, Quezon owned by Antonio Maxino. It has two main structures of almost the same size. The sala and quartos in the larger part, and the comedor, kitchen, and azotea in the smaller. We also passed by Plaza de Castro that serves as a hub for guests to enjoy Filipino street food such as fishball, rice cakes like bibingka, puto bungbong, palitao, and biko among others. Day trippers starting the heritage tour. 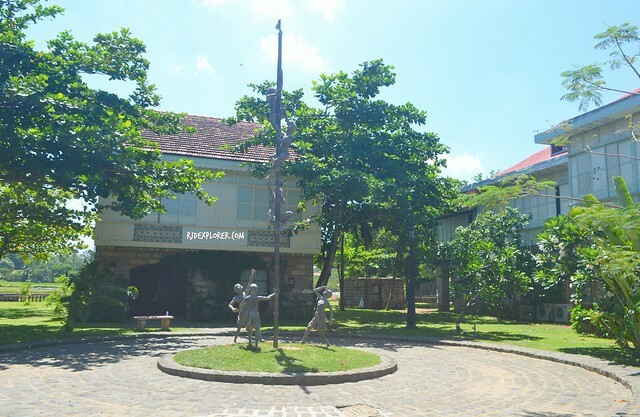 The tour continued going to Plaza Belmonte where two water fountains, which are at the same time feature sculptures depicting Filipino culture, were installed. The plaza is being bordered by Casa Jaen I and II, Casa Luna, the Paseo de Escolta, and Casa Mexico. Due to the picturesque scene of Plaza Belmonte, I was left by the group who continued to Casa Luna, the next house to explore on the heritage tour. 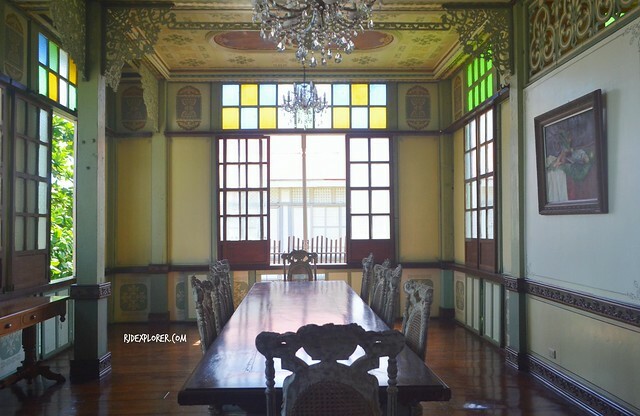 Novicio family of Namacpacan, La Union was the original owner of the Casa Luna that was built sometime in 1850. 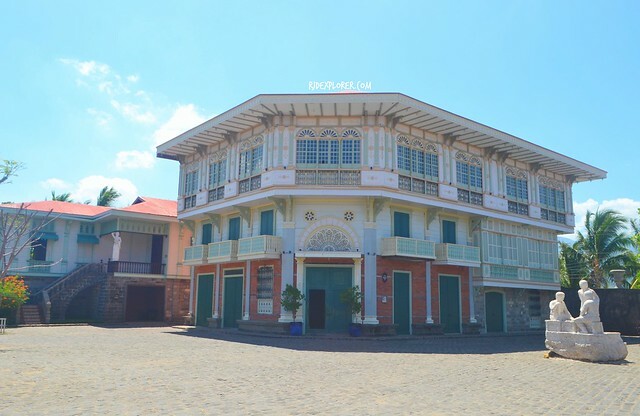 The original house in La Union fronts the plaza across St. Catherine of Alexandria and the convent and casa municipal. We explored the second level of the house where a corridor surrounds the entire floor. Our guide reminded us of the concept of the “Aliping Sagigilid” (hearth slave), the lowest among the social class of our precolonial period. How to be an aliping sagigilid in Casa Luna? The corridor, literally on the “gilid” (edges) of the second level, served as the walkway for the servants when catering the needs of the family and their guests. In the past, going to the toilet was one of the bonding moments of the family that was the reason why you’ll see two holes in the toilet. Casa Cagayan, just across the road from Casa Luna, are typical houses in Cagayan Province during the early 1900s. 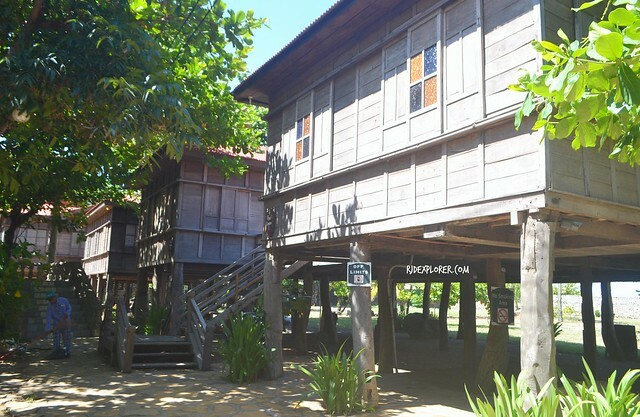 The stilt houses were built with three trunks as posts to give the owners extra space for relaxation and storage. These houses, which are actually near the “Batis” or the swimming pool, are being rented by the resort. Paseo de Escolta. I consider this shot a glimpse of the past having the old building with the guide wearing her traditional dress. Passing under Casa Baliuag II, the group advanced to Paseo de Escolta. 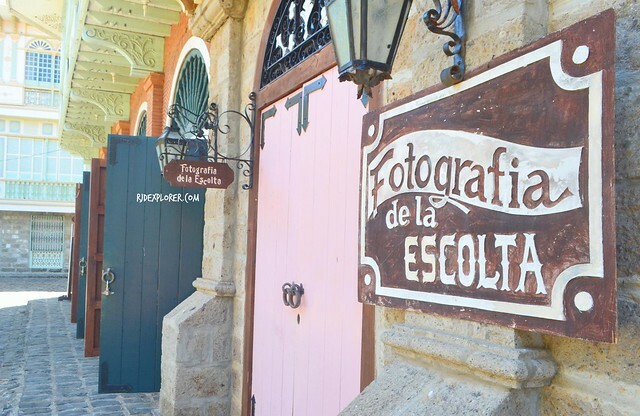 The structure houses the commercial stores and shops such as Tess the Farmer, La Tiendecitas, La Panaderia, Fotograpia de la Escolta, and Antiquedades. 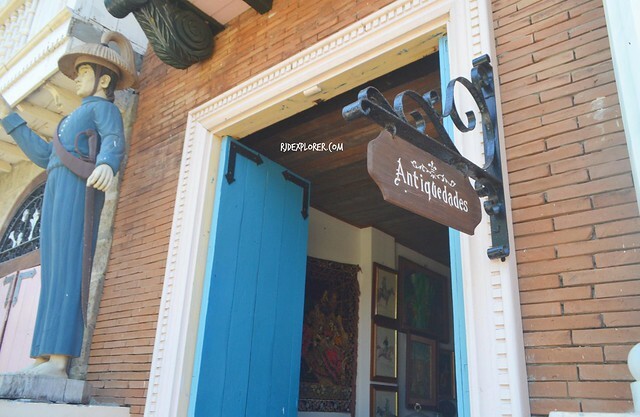 These stores offer different services to guests visiting Las Casas Filipinas de Acuzar. The upper floors of the building, which were actually hotels in that era, are also accommodating guests who plan to stay overnight in the heritage resort. Commercial shops located on the lower ground of Paseo de Escolta. Next structure was Casa Bizantina, a house that was actually located in the corner of Madrid and Penarubia streets in San Nicolas, Binondo. It has two floors and we were only allowed to access the ground level. A large tile mosaic covers one of the walls and will get your attention the moment you made your way inside the house. 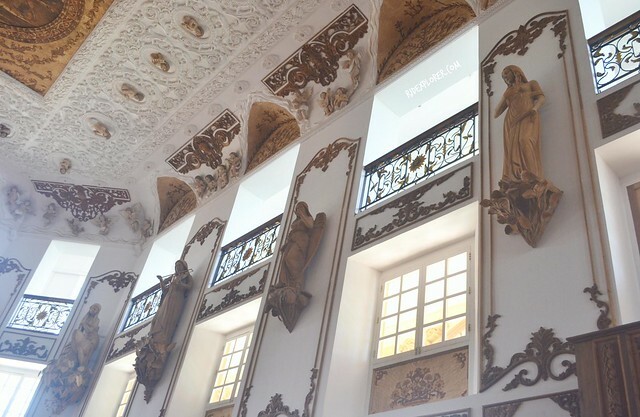 Apart from the sparkling chandeliers, the ceiling was a gallery with paintings having different styles. Cozy and artistic interiors of Casa Bizantina. From Plaza Atienza, our guide led us to Casa Quiapo, passing by Casa Candaba, Casa Binondo I, and Casa Tondo. 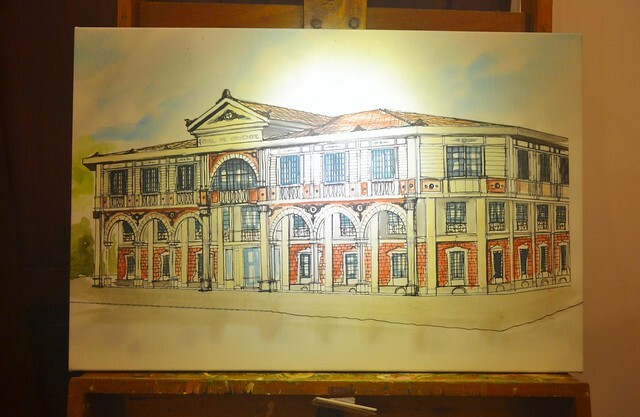 Casa Quiapo, owned by Don Rafael Enriquez, was built in 1867 before it was given to the University of the Philippines and served as the first Fine Arts school. A walkway illumed by chandeliers welcomes every visitor on Casa Quiapo. The guide shared to us a peephole used by Don Rafael in checking guests visiting his mansion. Since it’s too tiring for the owner to go downstairs just to check the guests, he asked his servants to create the hole. If the don wants the guest to get inside, he just triggers something for the door to open, if not, he throws urine on them. Don’t ever miss the cute wooden doors in Casa Baliuag I. Last house on our list that day was Casa Biñan. But before that, I was mesmerized by the wooden doors of Casa Baliuag I that I couldn’t help but take a picture. 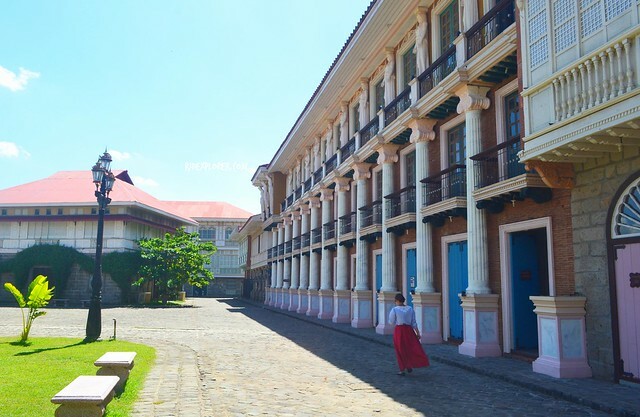 Casa Biñan’s courtyard where the death scene of Antonio Luna in the movie Heneral Luna was taken. 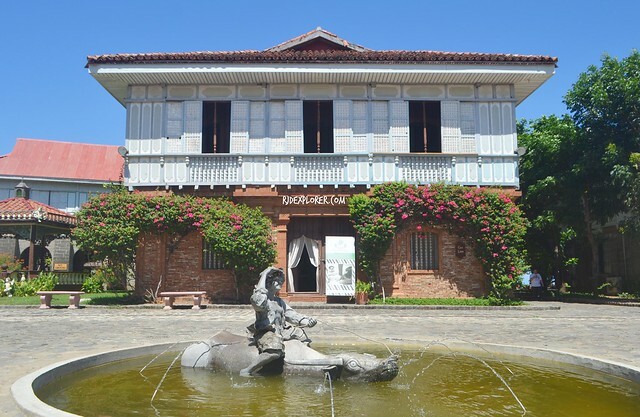 Casa Biñan is also known as the Alberto House. 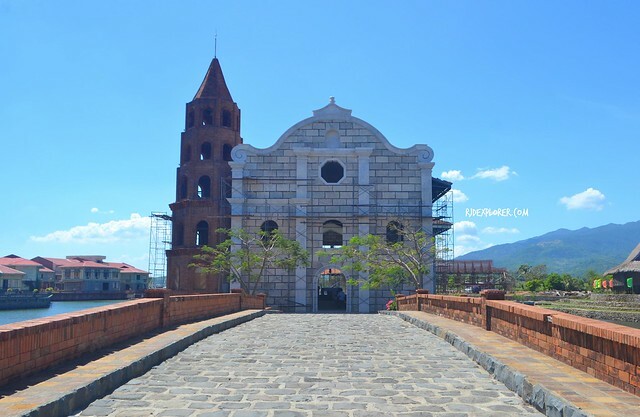 It was originally built by Gregorio Alonzo in the 16th century. The house is a living witness of some intriguing issues happened on the life of the families who lived there. 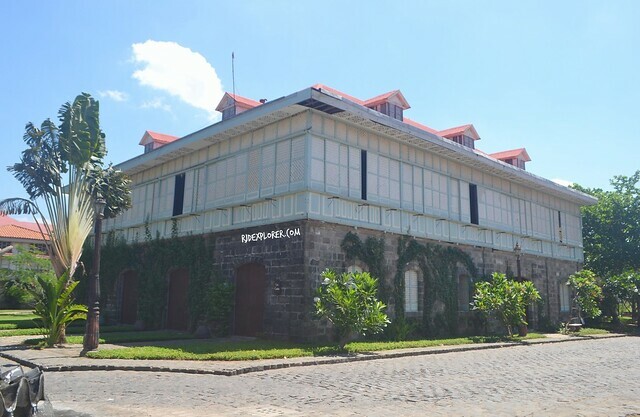 The house was donated by the current owner to Las Casas Filipinas de Acuzar in order to preserve and use what was remained. 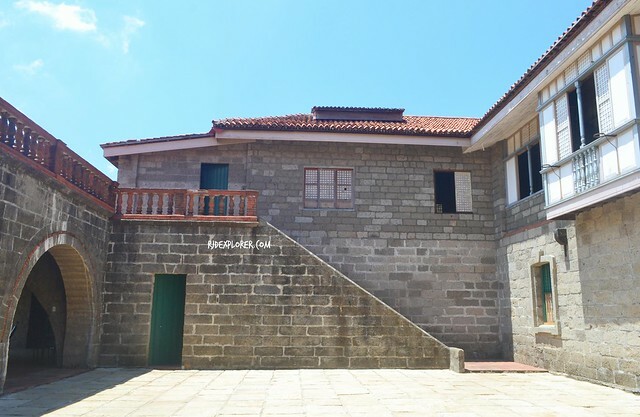 The back portion of the house was also used in the death scene of Antonio Luna in the movie Heneral Luna. 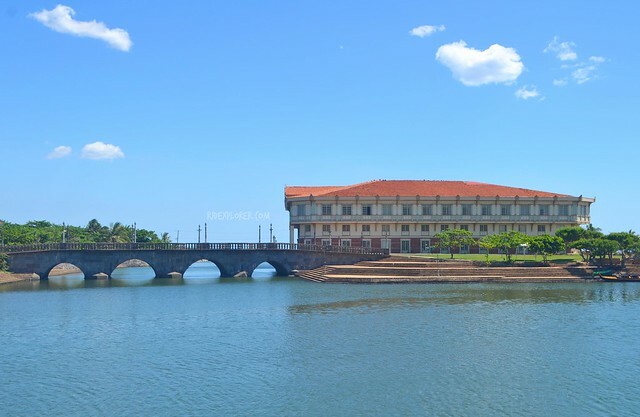 Numerous photos of Las Casas Filipinas de Acuzar worth sharing. Plaza Mayor de Tobias, covered with well-manicured grass contrasting the bright and blue sky, became our view on our way back to Casa Lubao to finally end the tour and avail our cold towels to refresh us from the tiring yet informative heritage tour we had. Prior to the scheduled heritage tour, I saw a building across the Umagol River and was fascinated by its architecture and design. 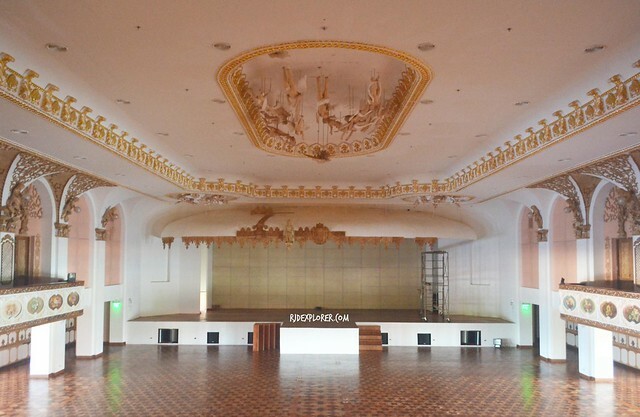 An additional fee of Php200 will entitle you a guided tour inside the Hotel de Oriente which was actually a venue during the Asia Pacific Economic Cooperation last November 2015. 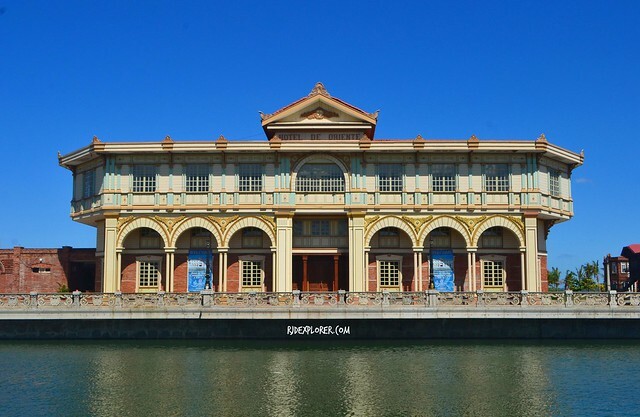 Hotel de Oriente’s impressive design stands out from the horizon. We found out from the tour that the structure is just a replica of the first grand and premier hotel in Binondo, Manila built in 1889. The guide mentioned that the hotel was also the first establishment to have electricity and telephone connection in the country. The structure was totally damaged during World War II and it caused the builders a hard time researching old photos of its interior. 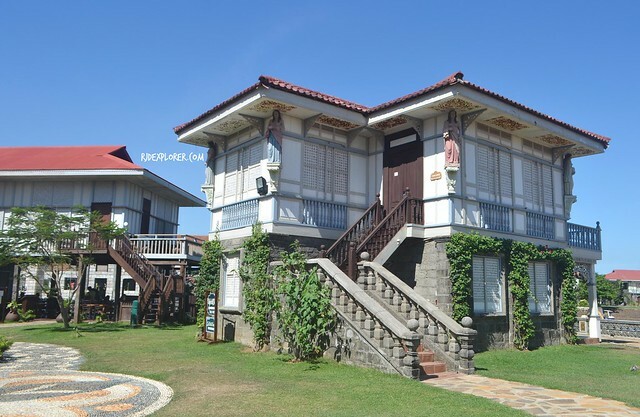 Owner of Las Casas just decided to avail the expertise of local artists to deploy arts and crafts on the structure’s interior. 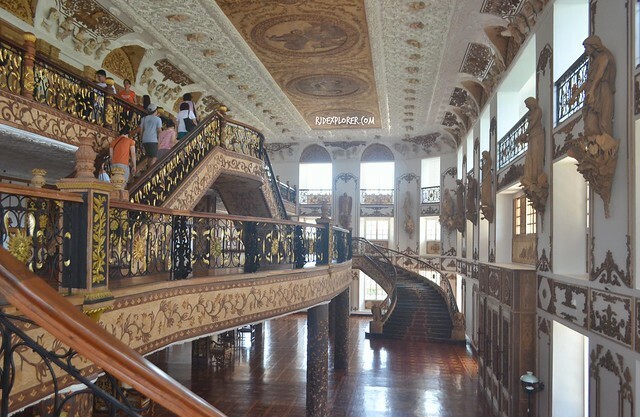 Majestic lobby of Hotel de Oriente full of intricate wood-works and sculptures. Guests are being asked to remove footwear before entering Hotel de Oriente. The majestic lobby with intricately designed staircases on both sides effortlessly welcomes and brings amazement to everyone. 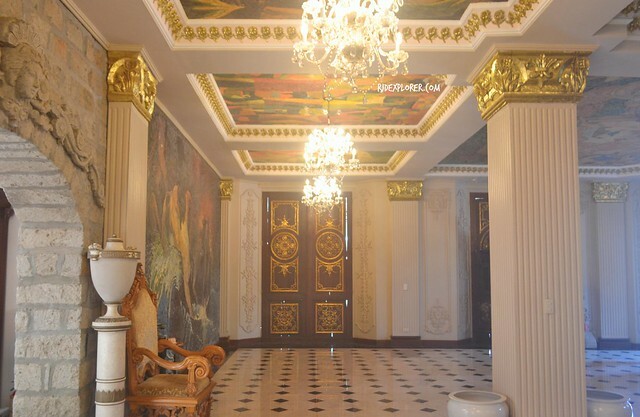 Natural color of the woods used and the black and gold paints on the metals create a lavish vibe on the lobby. 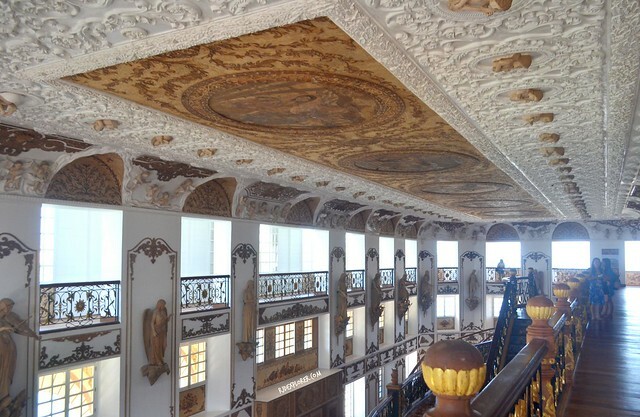 The ceiling is also hard to miss with the different wood carvings mounted. 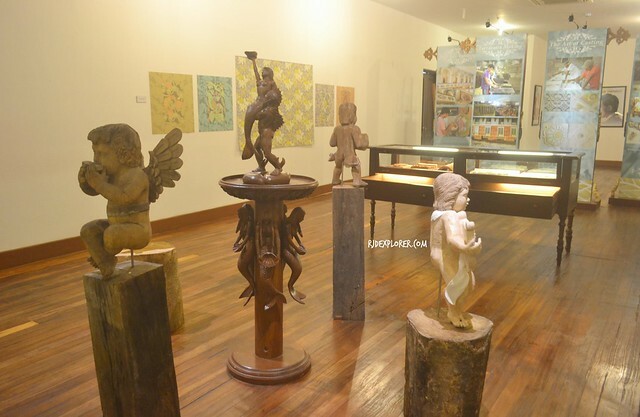 One of the rooms serves as a gallery featuring the works of some local artists. 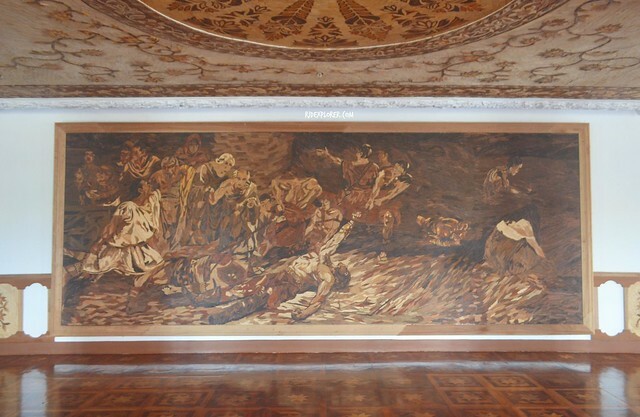 Juan Luna’s famous Spoliarium in a parquet version. A portion of the room was designated as a viewing area for short clips showing old photos and videos of the Philippines. 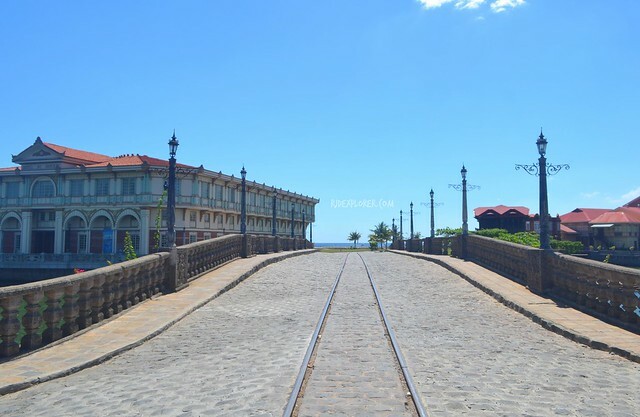 Some posters of movies that were shot in Las Casas Filipinas de Acuzar such as Heneral Luna, Bonifacio, and Felix Manalo, were also placed on a wall. I almost missed a version of Spoliarium on the lobby before I went out of the building. Set meal included in Package Set 1. Onion soup and drink not in photo. Before I ended my day tour in Las Casas Filipinas de Acuzar, I availed the set meal included in the package being served in one of their restaurants, Marivent Café (the other restaurants are Café del Rio and La Bella Teodora). 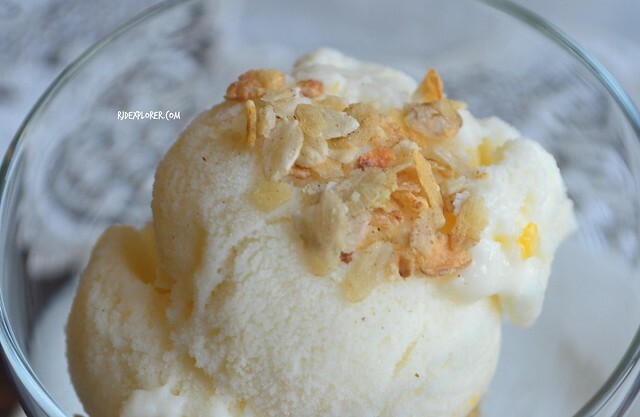 For lunch, I savored a bowl of onion soup, braised beef with stir-fried veggies, and corn flavored ice cream for dessert. 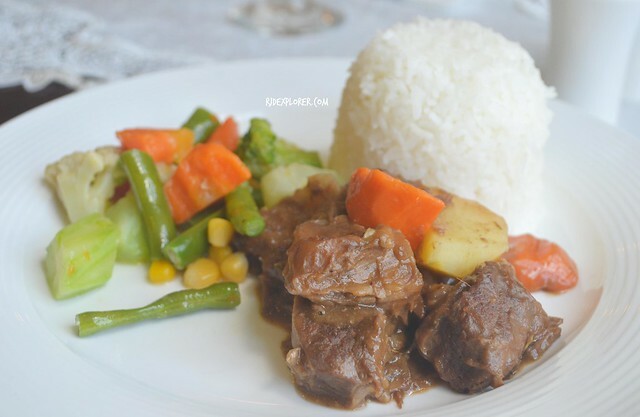 On weekends, you could also avail of their buffet with generous spread of desserts, Filipino food, some pasta, and salads. 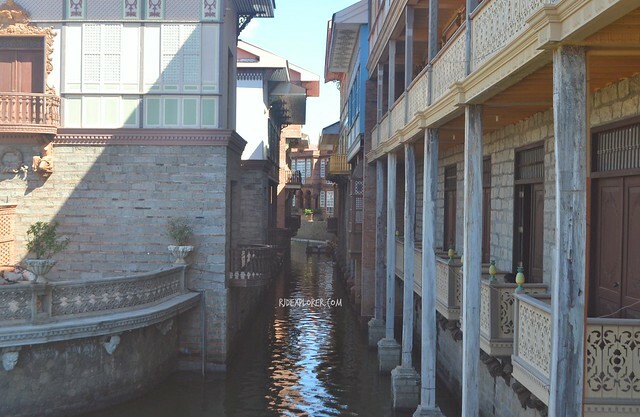 Las Casas’ version of a grand canal, flanked by structures on both sides. I dropped by La Puesta del Sol part to see some of the houses and visit the narrow canal that imitates that of Venice’s grand canal. Ancestral houses in Plaza Marcelino are also hotels in addition to those along the road on the other side of the waterway. I wanted to try the river cruise but the intense heat of summer didn’t allow me. I just wandered and traced back the heritage tour route to take photos. Every part of the heritage resort is picturesque. 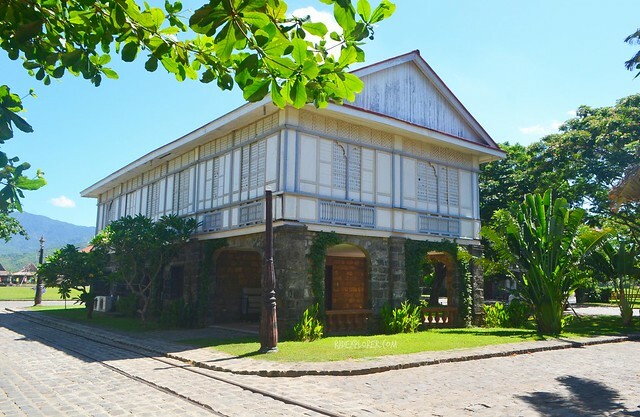 Finding my way out of Las Casas Filipinas de Acuzar made me realize how lucky we are to have a single complex where we can appreciate the architecture in the past by scrutinizing these ancestral houses restored and replicated by the project. 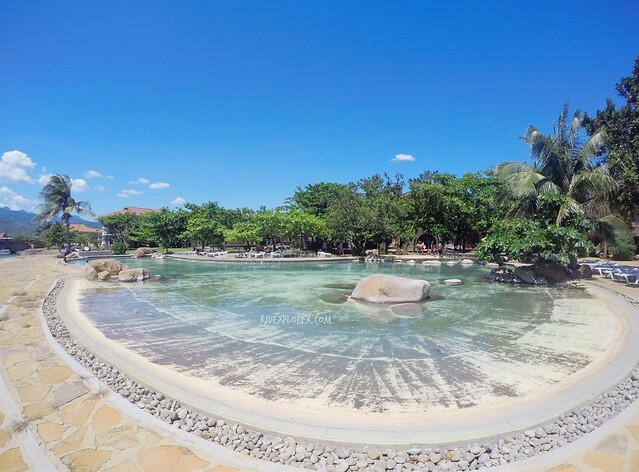 Apart from that, the resort also offers the relaxation that families and groups seek with the availability of accommodations, restaurants, and leisure facilities. 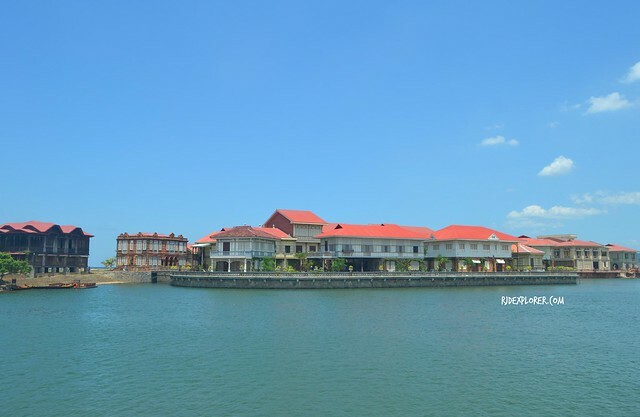 Planning to stay overnight in Las Casas Filipinas de Acuzar? BOOK YOUR DISCOUNTED ACCOMMODATIONS HERE. Hello RJ! Nice blog post! I’m in love with the place! May I know the details on how you booked your day tour sir? I hope you can give me the contact details 🙂 thanks. You can contact them directly on the number I’ve provided on the last part of the post or visit their website for other contact details. Hi RJ, is it only pre-booking or can we book as well upon arrival in the place? Thank you. 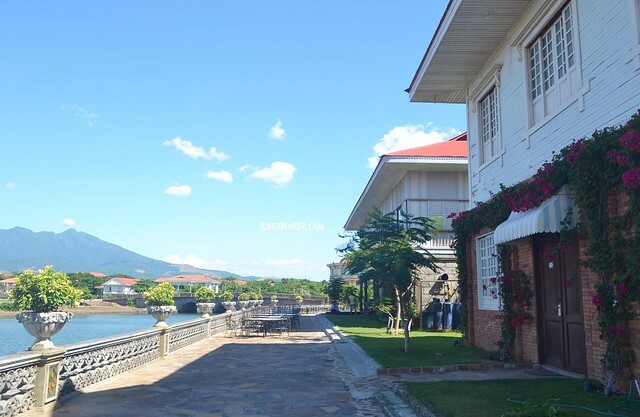 How can I book a day tour at Las Casas Filipinas for 12 persons? Hi! Do you need to book in advance to avail of their Heritage Tour or they accept walk-ins? Thanks! I recommend contacting them before your visit to ensure entry especially if you’ll be visiting the resort in a group. How much are the Daytour Packages 1, 2 & 3 per head? Please advise. Thank you.